Zimbabwe's ex-president Robert Mugabe says he won't vote in favor of his successor and previous partner in Monday's races. In an unexpected discourse, Mr Mugabe said he couldn't bolster Zanu-PF's Emmerson Mnangagwa in the wake of being constrained from office by the "gathering I established". "I can't vote in favor of the individuals who tormented me," he said. He included that he had not picked among alternate competitors but rather wished the primary restriction pioneer well. Mr Mugabe was removed a year ago after very nearly four decades as pioneer. 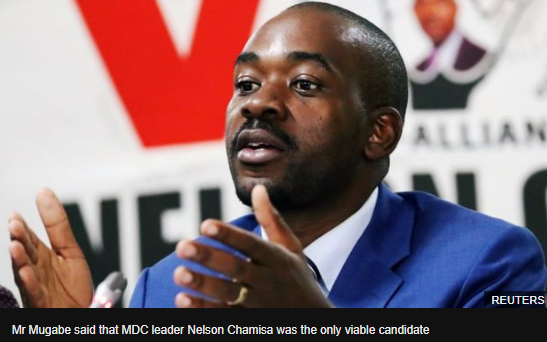 Mr Mnangagwa's primary challenger is the hopeful from the restriction Movement for Democratic Change (MDC), Nelson Chamisa. Could post-Mugabe vote mend divisions? Video: What do youthful voters need? Have Zimbabwe's commanders transformed into democrats? 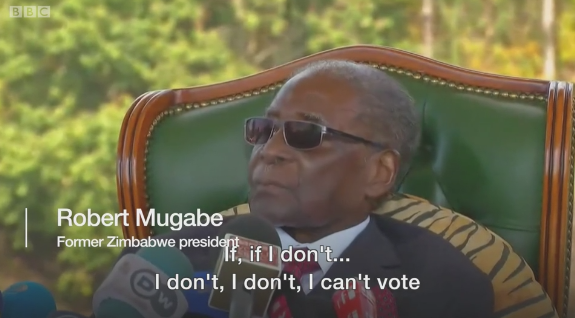 At the point when asked by the BBC's Fergal Keane in the event that he might want to see Mr Chamisa win, Mr Mugabe, 94, showed that he was the main feasible hopeful. In light of the remarks, Mr Mnangagwa blamed his previous supervisor for making an arrangement with the resistance. "It is obvious to all that Chamisa has produced an arrangement with Mugabe, we can never again trust that he will probably change Zimbabwe and revamp our country," he said. Talking from his home in the capital, Harare, on Sunday, the previous president again said he had been "sacked" as a major aspect of a military overthrow and that he exited office keeping in mind the end goal to "stay away from strife". "I trust the decision of voting tomorrow will toss, push away the military government and take us back to defendability," he said. 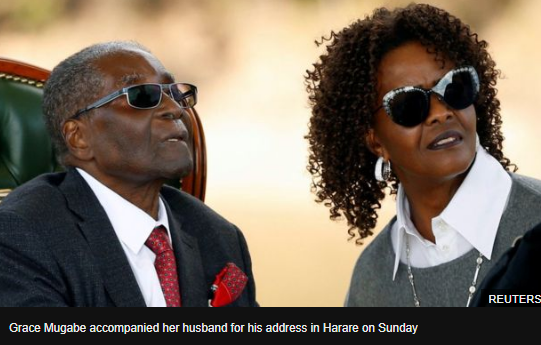 Mr Mugabe additionally denied that, as president, he had wanted to hand the initiative to his better half, Grace, saying it was "absolute rubbish". He recommended that ex-safeguard serve Sydney Sekeramayi ought to have assumed control.